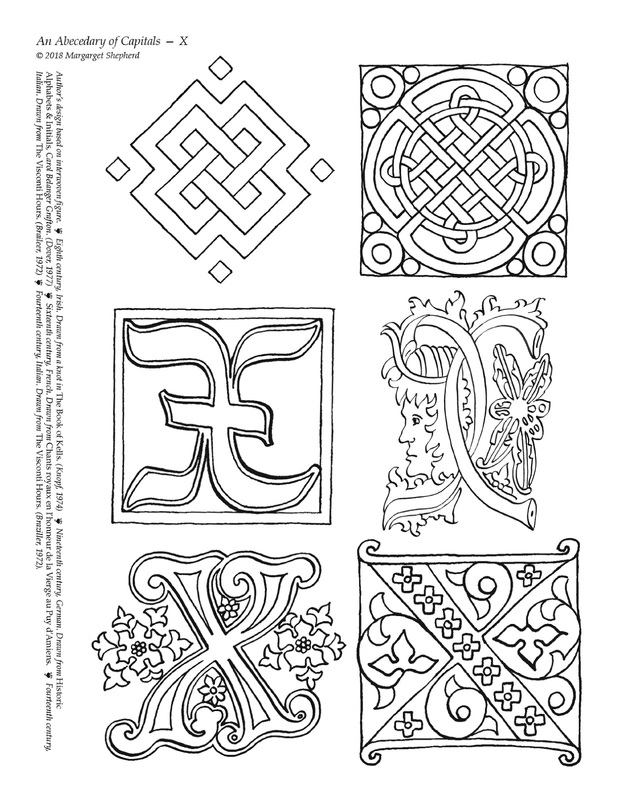 full-page printable to color in. X , this week's letter, lets us think about symmetry. 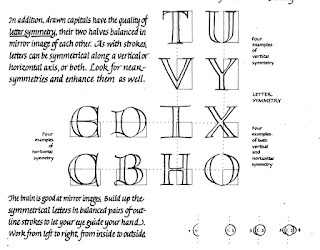 Many letters, especially the Versals based on Roman capitals, are symmetrical along their vertical or horizontal axis. Or both, like the letters I, H, O, and X.
by Margaret Shepherd, Random House. page 91. 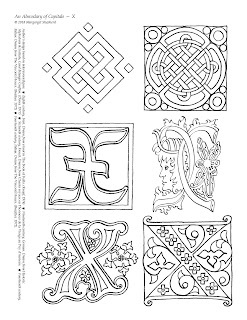 Check out my special Abecedary Series collection of designs, decorative motifs, and color ideas on Pinterest! 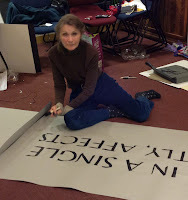 Hand-lettering a quotation from Martin Luther King onto a banner for a play "The Mountaintop" for the Central Square Theater, Cambridge, MA. January 2013. 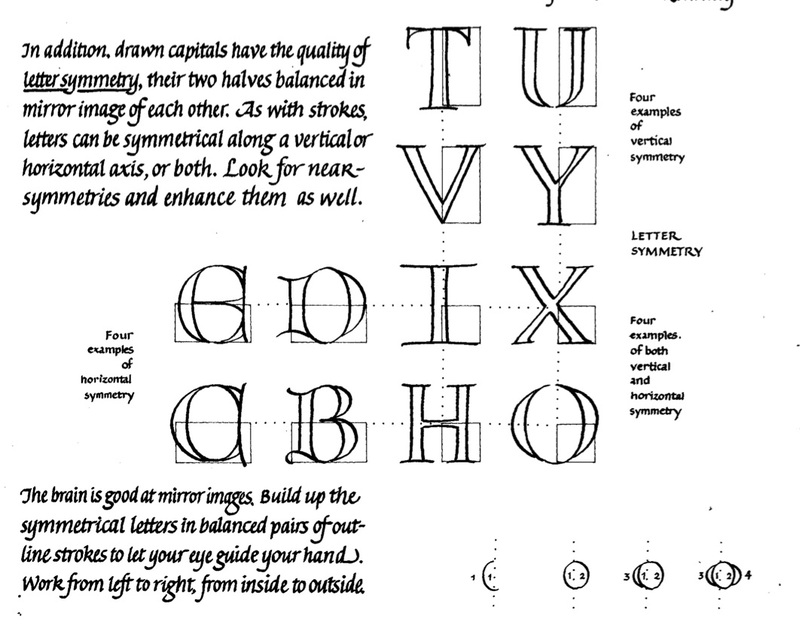 I have been a calligrapher for 45 years, in many parts of the field. At first, I fell in love with the abstract art of the page and architecture of the letters. Then I learned the nuts and bolts of my craft, by filling in diplomas, addressing wedding invitations, and teaching beginners. Now, I create art, write books about history and technique, and give talks about many topics related to writing. I've also digressed to write about handwritten correspondence and spoken communication as well. Connecting with people through words is what matters; pen and ink is my favorite way. © Margaret Shepherd 2019. Unauthorized use and/or duplication of this material without express and written permission from this blog’s author and/or owner is strictly prohibited. Excerpts and links may be used, provided that full and clear credit is given to Margaret Shepherd and http://margaretshepherd.blogspot.com/ with appropriate and specific direction to the original content.